Since its first professional team in 1980, Jacksonville has cultivated a rich soccer tradition. After a restrictive stadium lease greatly affected ticket sales, the Lipton Tea Co. relocated the New England Tea Men franchise to Jacksonville. 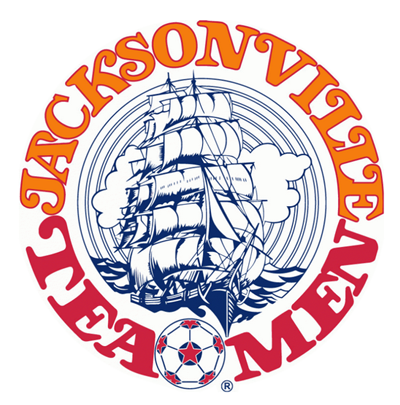 The Jacksonville Tea Men, Northeast Florida’s first-ever major league-level sports team, played in the original North American Soccer League in front of crowds of 15-20,000 at the Gator Bowl from 1980-82. In 1982, Ingo Krieg, a Jacksonville-based engineer and bio fuel entrepreneur who immigrated to the United States from East Germany at a young age, joined a group of investors to purchase the Tea Men from Lipton and keep the team playing in the American Soccer League in 1983, where it went on to win the league title that year. In 1984, Krieg moved his team to the new United Soccer League. Despite four great years and a series of successes, the financial burden eventually became too big to bear and the Tea Men folded in 1984. Former English National Team and Manchester United striker Dennis Viollet, an assistant for Irishman Noel Cantwell during the Tea Men’s NASL days and the head coach of the Tea Men’s 1983 ASL Championship team, stayed in Jacksonville and was a major part of building the region’s soccer culture by helping establish youth soccer clubs. From 1990-95, Viollet was the head coach of the Jacksonville University men’s soccer team and then from 1997-99, he served as coach of the USL A-League’s Jacksonville Cyclones, which was founded in 1995. Jacksonville also has a proud history of hosting international soccer matches, particularly with the U.S. Men’s National Team, which holds a 4-0-0 record at EverBank Field. On May 26, 2012, the USMNT defeated Scotland, 5-1, in a friendly in front of 44,438 fans, a record for the state of Florida. On June 7, 2014, the record was shattered as 52,033 fans saw the USMNT defeat Nigeria in a friendly that was part of the FIFA World Cup Send-Off Series. It was at the USMNT/Scotland friendly at EverBank Field in 2012 that native Jacksonville businessman Mark Frisch drew inspiration to bring professional soccer back to Northeast Florida. Overwhelmed by the passionate fans and exciting atmosphere, he saw the potential in continuing to grow a sport he was learning to love. In May 2013, Frisch formed the Sunshine Soccer Group with the goal of bringing a professional soccer team to Jacksonville. On July 25, 2013, the re-formed North American Soccer League awarded Jacksonville, an area that reaches five million people throughout Northeast Florida and Southeast Georgia, expansion rights as the league’s then-13th team. 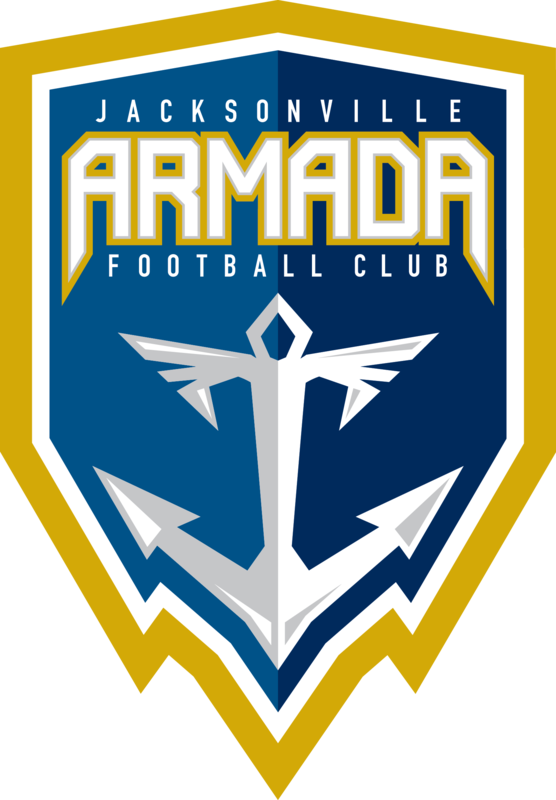 The Armada FC sailed onto the scene on Feb. 7, 2015, hitting the pitch for the first time and riding three first-half goals to a 3-1 win over its inaugural opponent, the Philadelphia Union of Major League Soccer in front of a modern-era NASL preseason record 13,934 fans at EverBank Field. On April 4, 2015, the Armada FC defeated 3-1 in its NASL opener in front of a modern-era record of 16,164 fans, firmly proclaiming the club’s presence and cementing its mark in Jacksonville soccer history. In February 2017, the NASL bought the Jacksonville Armada FC franchise and took ownership and operation of the team while looking for a new owner. The NASL announced on July, 18, 2017 that Florida native Robert Palmer, a successful entrepreneur whose company portfolio includes RP Funding and Homevalue.com, had purchased the Jacksonville Armada FC. Palmer assumed control of the club immediately and worked to grow fans and the soccer community in Jacksonville. The team’s motto is “Ex Pertinacia Victoria” or Victory Through Determination.